Our staff includes professionally licensed and insured Nurses, Laser Specialists, and Master Aestheticians. We are proud of the wealth of experience our team provides as leaders in their fields. Vitalia staff take part in recurring trainings and certifications to stay on the leading edge of education and experience. We pride ourselves in making you look and feel your very best! Come visit us today and meet our team members. We look forward to making you a part of the Vitalia family. 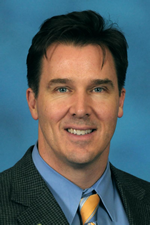 Dr. Long is dual board certified Internal Medicine and Obesity Medicine. He has been practicing in Northern Virginia since 2000. 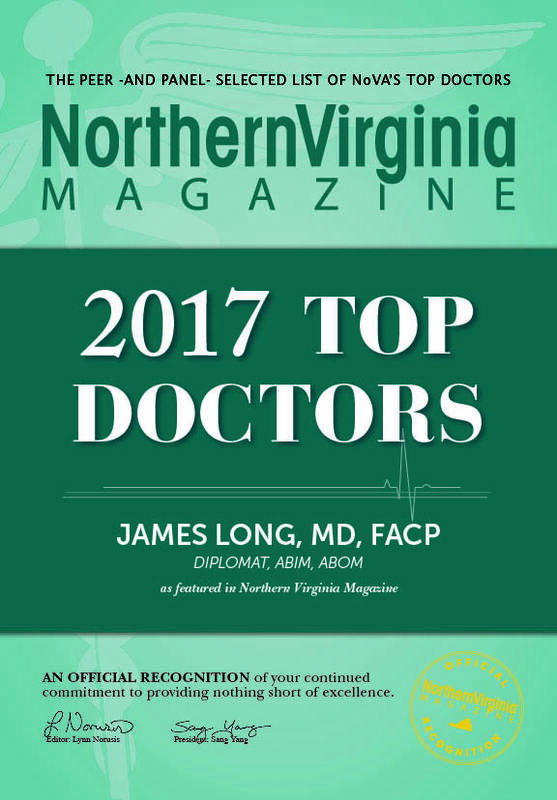 Dr. Long is a Fellow of the American College of Physicians and was formerly on the Governor’s Council for the American College of Physicians. 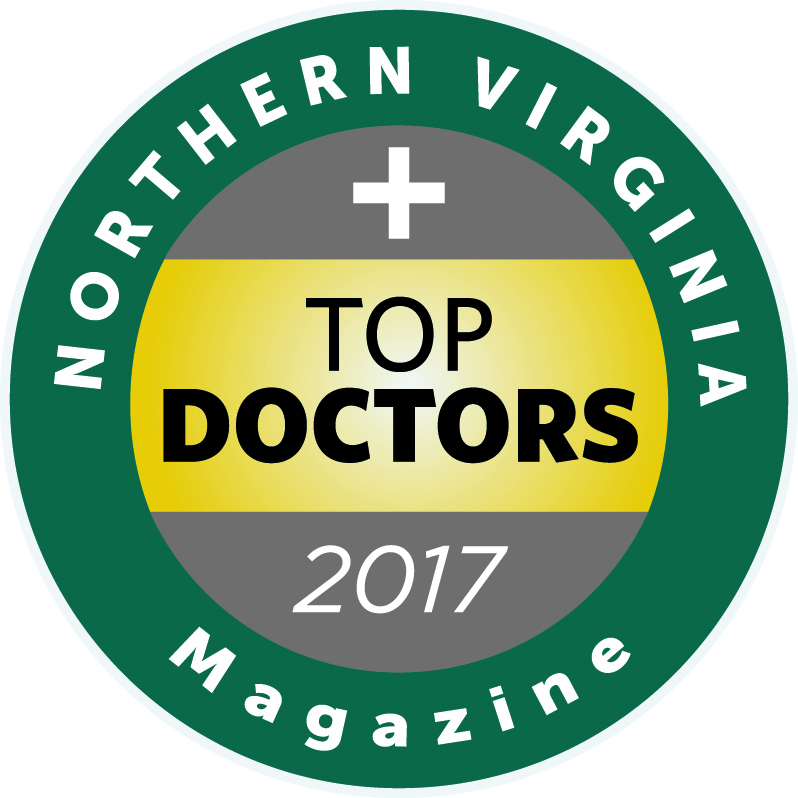 He is on the clinical faculty at Virginia Commonwealth University and has been rated as one of CheckBooks top-rated physicians in the area and was selected in the Washingtonian as a Top Doctor. He has been trained in advanced injection techniques in aesthetic medicine, including Botox, Xeomin, Dysport and dermal fillers such as Juvederm, Restylane and Radiesse. 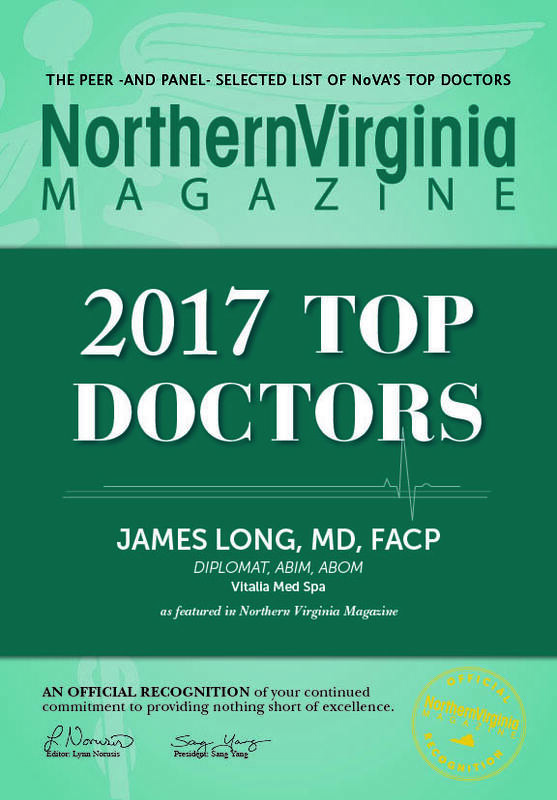 Dr. Long is trained in Laser Aesthetic medicine and offers laser services in his office and at Vitalia MedSpa in Falls Church. He is on the Faculty of the International Association for Physicians in Aesthetic Medicine. Dr. Long has an interest in fitness and the treatment of obesity. He is one of less than 1600 physicians in North America who is certified in Obesity Medicine by the American Board of Obesity Medicine. He has received training in Age Management Medicine and medically appropriate hormone optimization for men and women. class="page-template page-template-page-theme page-template-page-theme-php page page-id-8450 samba_theme samba_left_nav samba_left_align samba_responsive tribe-no-js wpb-js-composer js-comp-ver-5.4.5 vc_responsive"